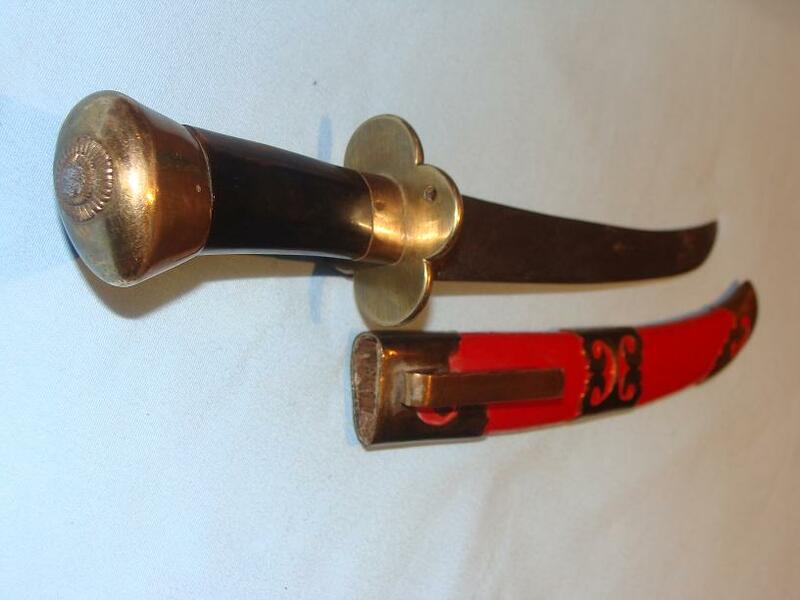 33cms overall in the scabbard, the blade is 22cms long with a raised curved tip and is clearly forged and razor sharp. 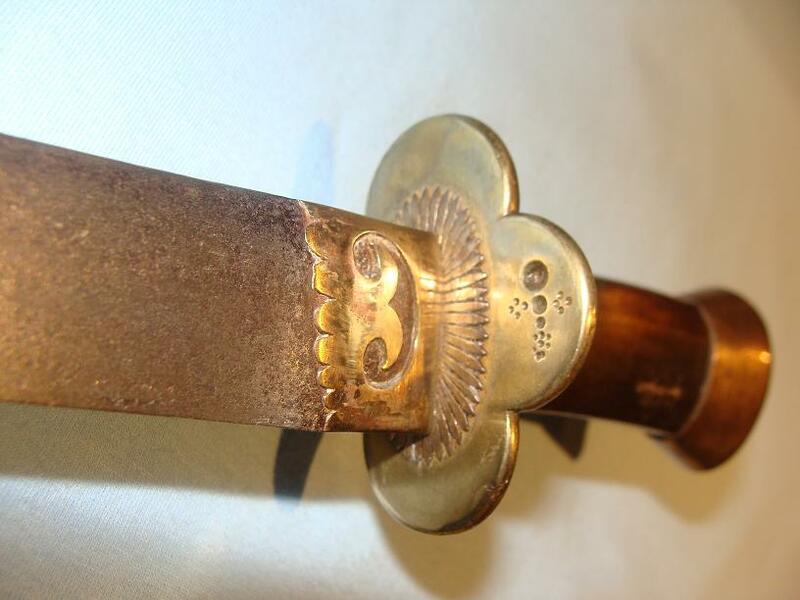 Lovely tonkou and superb hilt fittings with sunbursts to the pommel cap and tsuba style guard. 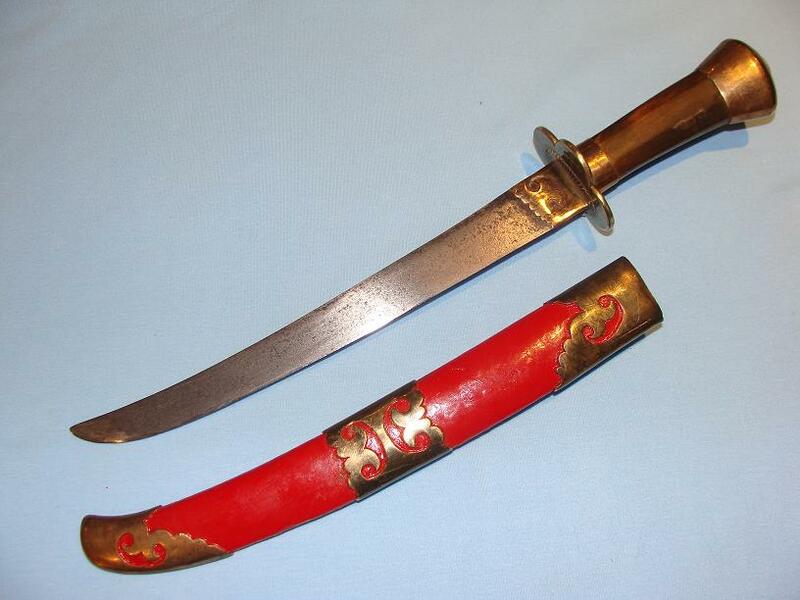 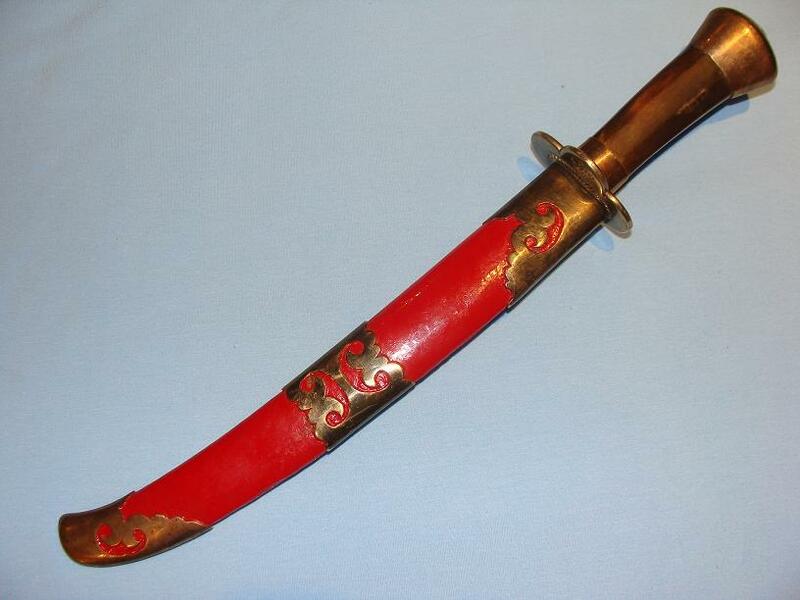 A very rare and striking knife in the style of Chinese sabres of the day.